The portion, Hukat (The Statute), deals with Israel’s continuing journey, with the Mitzva (commandment) of the red cow (heifer), the laws of the impurity of the dead, and the episode known as Mei Meriva (waters of Meribah [Heb: quarrelling]). In the episode, the children of Israel complain about the lack of water, and the Creator commands Moses to speak to the rock. However, instead of speaking, he strikes the rock. Moses and Aaron are punished for this act by being banned from entering the land of Israel. The people of Israel reach the land of Edom, and the king of Edom forbids them to pass through his territory. Aaron dies, and Elazar, his son, succeeds him as the high priest. The people of Israel continue to complain about the difficulties along the way, and the Creator sends snakes to bite the people. Moses makes a copper snake and shows it to the people, and anyone who sees the copper snake is healed. The people of Israel reach the boundary of the land of Moab and sing “the song of the well.” The people fight Sihon, King of the Amorites, and Og, King of the Bashan. Israel wins and inherits their land. This story details the primary correction in the corrections of the souls. Because our souls are initially the desire to receive, to enjoy, in order to correct it we must invert the intention of that desire toward bestowal. We must correct our souls to have the aim to bestow, to love others, by which will resemble the Creator. This will endow Dvekut (adhesion) with the Creator—which is the purpose of creation—to each and everyone in the nation. This is why we need to mingle and become integrated with the force of bestowal, called Bina, and with the force of reception, called Malchut. 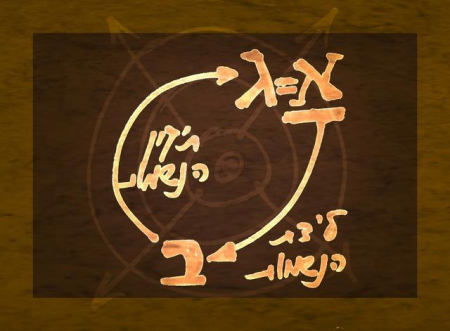 Connecting the two forces—the two Sefirot just mentioned—results in four options: Malchut in Malchut, Malchut in Bina, Bina in Bina, and Bina in Malchut. When Bina is inside Malchut, it is the evil force because Malchut governs Bina, and when that happens, all the evil forces emerge. While these forces may occasionally appear as good, they appear so only to lure and entice a person, leading toward the evil. It is a special Klipa (shell/peel), cunning and shrewd, which is in Malchut. This is how Malchut acquires Bina and uses it. This is also why it was said that evil can exist in the world only if it initially appears as good. At first, the only forces that exist in man are the still, vegetative, and animate, meaning Malchut at the degree of still, vegetative, and animate. This is a straightforward will to receive. A person who possesses the power of Bina within the will to receive becomes very clever and very shrewd. Such a person knows how to appear as giving to others, as serving them, while in fact that person takes from others and uses them as much as possible. This is how the negative forces operate when the force of bestowal is “taken captive” by the force of reception.